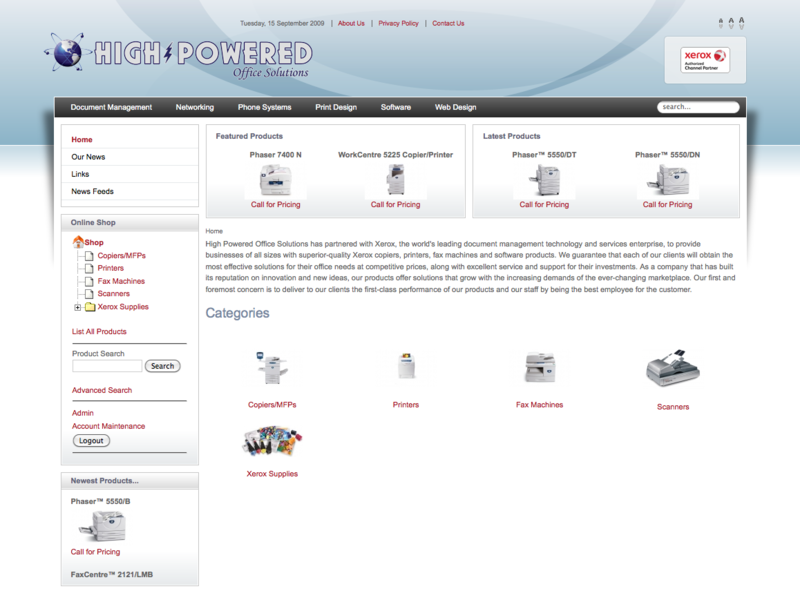 High Powered Office Solutions has partnered with Xerox, the world's leading document management technology and services enterprise, to provide businesses of all sizes with superior-quality Xerox copiers, printers, fax machines and software products. Joomla! 1.5, VirtueMart, Forms, Document Downloads and more.